The design is airy like the delicious light dishes of your French restaurant. A menu bar, a welcoming board and a footer that looks like an aerial zephyr, white with fragile beige tint. There are interchangeable blurred pictures of clean table setting on the background. 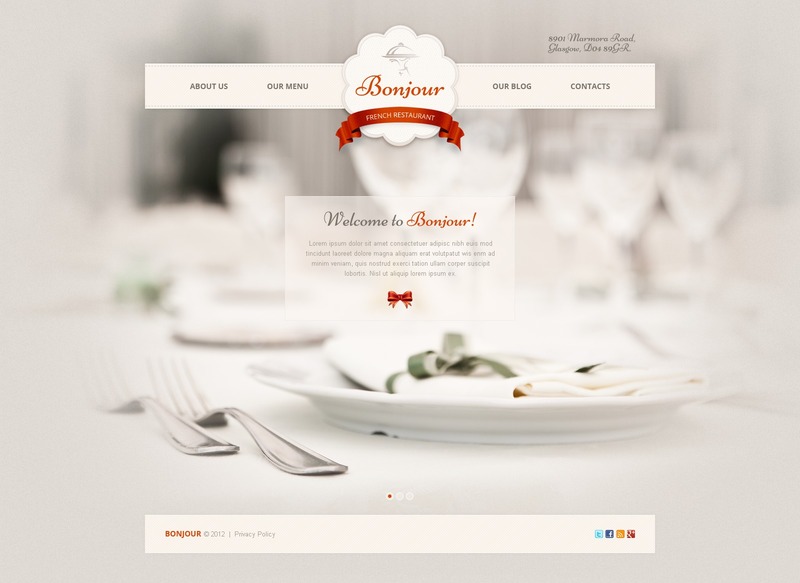 This elegant web template very finely represents the daintiness of French cuisine and French culture in general.